The Tower of London holds almost a thousand years' worth of secrets! The Tower of London draws more than 2 million visitors a year! Almost 1,000 years old and first built by William the Conqueror in 1066, the tower has been a fortress, a palace, a zoo, and an exhibit site for the amazing Crown Jewels. But the tower's reputation as a prison is probably what accounts for its popularity! Two young princes in the time of King Richard III were never again heard from after entering the castle, and two of King Henry VIII's wives were held captive here. 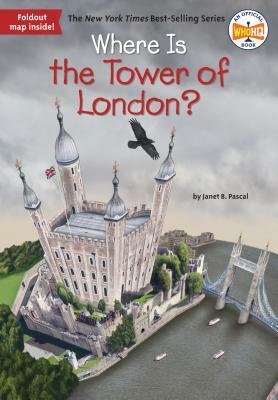 Author Janet B. Pascal brings to life one of the most fascinating landmarks in the world. Janet B. Pascal is the Executive Production Editor at Viking Children's Books and the author of several Who HQ books, including Who Was Dr. Seuss?, Who Was Abraham Lincoln?, and What Is the Panama Canal? David Malan has worked professionally as an artist and illustrator for over a decade. He lives in Salt Lake City, Utah.